The relationship between public and private reflects the state of politics, society, and culture. We can examine it today and throughout the course of history. Hannah Arendt, Hans Paul Bahrdt, Jürgen Habermas, and Richard Sennett place the beginnings of the polarity between public and private in various different epochs, and also define its nature differently. It is therefore all the more interesting to reflect on this polarity from the viewpoint of philosophy, sociology, cultural anthropology, art history, architecture, and literature. The project is part of “Strategy AV21” within the framework of the research programme “Europe and the State: between Barbarism and Civilisation”. The institutes of the Czech Academy of Sciences involved in the project are the Institute of Art History (the coordinating institution), the Institute of Philosophy, the Institute of Sociology, the Institute of Ethnology, and the Institute of Czech Literature. Petr Kratochvíl, Městský veřejný prostor – naděje a prohry / Urban Public Space – Hopes and Failures, in.Veřejný prostor CZ – krajina města / Public Space CZ – Urban Landscape, Galerie Jaroslava Fragnera, Praha 2016. Lecture by Beatriz Colomina (Prague, 22 November). 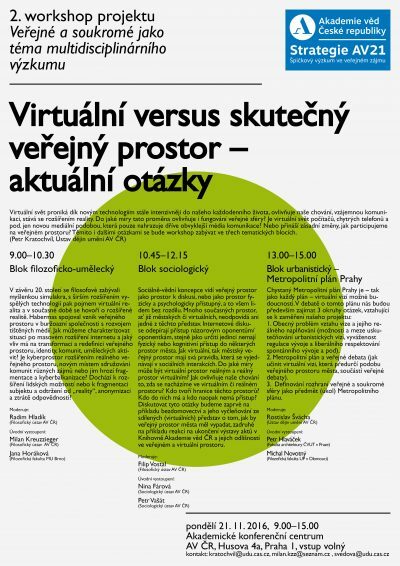 Lecture by Anthony Vidler in Prague (7 June 2017, Institute of Art History, The Czech Academy of Sciences). On Monday 21 November 2016 from 9 a.m. to 3 p.m. the second workshop of the project “Public and private as a topic of multidisciplinary research” took place in the Academic Conference Centre, Husova 4a, Prague 1. 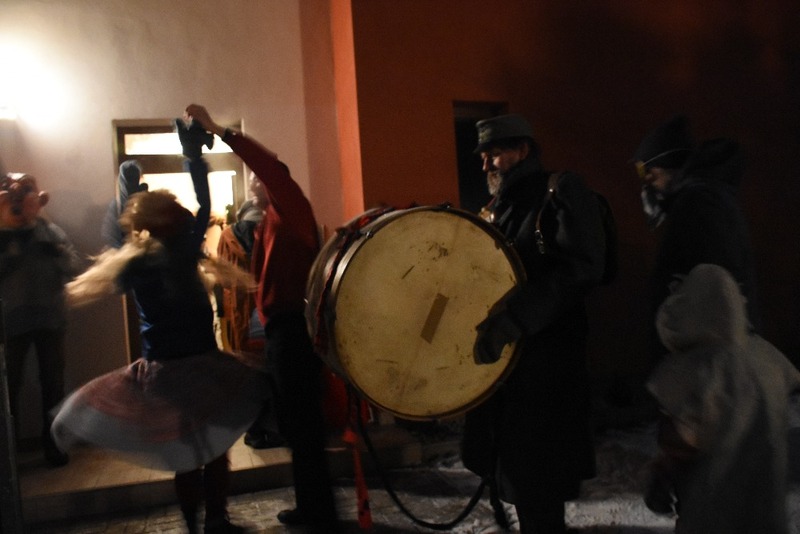 On 9-16 July 2016, the 29th Symposium of the International Council for Traditional Music’s Study Group on Ethnochoreology was held in Retzhof chateau near Graz in Austria, with the active participation of the Institute of Ethnology of the Czech Academy of Sciences. prof. phdr. petr kratochvíl, csc.